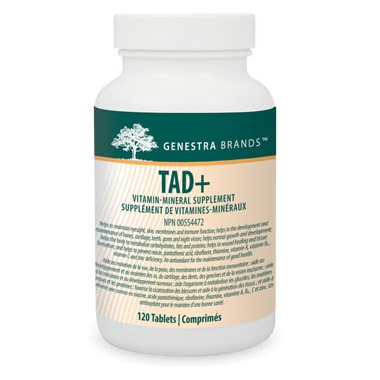 Genestra TAD+ Vitamin-Mineral Supplement supports macronutrient metabolism and healthy skin. 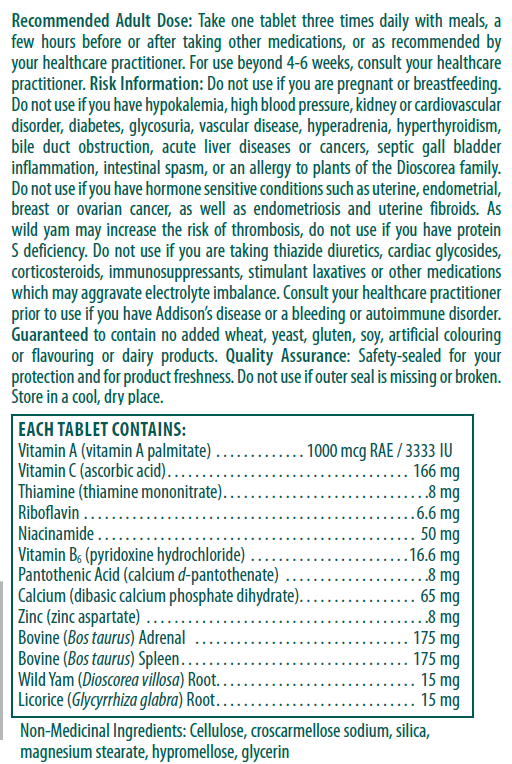 Providing 498 mg of vitamin C and 24 mg of zinc per daily dose TAD+ is a multivitamin combination that helps the body metabolize macronutrients and maintain skin health. Recommended by my naturopath to reset my cortisol levels. I had wonderful results. Free shipping is great and shipping was reasonably quick.